The Stork Lady is searching for a partner in the greater Dalton-Chattsworth, GA area. Is the Stork Lady searching for YOU in Dalton or Chattsworth, GA? Dalton, Georgia / Chattsworth, GA Stork Sign Rentals ~ Are you looking to make extra money? We’re looking for a partner in the greater Dalton, GA / Chattsworth, GA area! 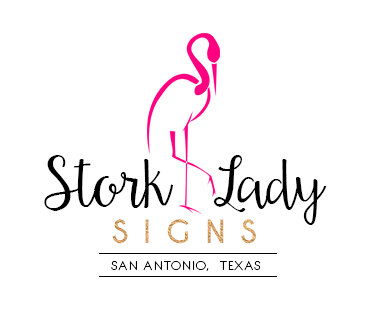 The Stork Lady brand is growing! We have a growing presence in Georgia and across much of the USA! We receive calls from new parents & grandparents all over the state of Georgia, including Dalton an d Chattsworth, who want to rent our stork sign to celebrate the birth of a baby. We would love to have a partner in north Georgia to refer the calls to. We also look forward to helping a partner in the area build successful stork rental business. The greater Dalton / Chattsworth , Georgia area is an excellent location for a stork rental service. See our Business Opportunity page and FAQs for more information. Please visit our Gallery page to see all of the options for our beautiful yard signs. And feel free to contact us at 210-601-7351 for more information. What will you do with the extra money in your budget every month?